Over twenty years on and Trainspotting is still a timeless classic. Seriously, how can anyone not like it? Little compares to the glorious adventures of heroin addict Renton (Ewen McGregor), and his five friends: Spud (Ewen Bremmer), Sick Boy (Johnny Lee Miller), Begbie (Robert Carlyle) and Tommy (Kevin McKidd). They are Scottish youths living in Edinburgh, deeply immersed in the underground drug world. Renton is desperate to escape his drug-addicted lifestyle but has failed many sobriety attempts. Battling withdrawal symptoms and the law enforcement, trouble follows Renton everywhere, especially Begbie, who continuously indulges in violent and psychotic behaviour. Without a doubt, Trainspotting is one of my all-time favourite films. Danny Boyle really produced a classic film about the subject of drug abuse, showing the lengths people will go to satisfy their addiction, as well as the very damaging effects it has on people’s lives. Trainspotting doesn’t glorify drugs, but what the film does do, is plunge the viewer into a harrowing environment where heroin is the only outlet. Also, not only does this film detail the effects of drug abuse, but it also explores other themes such as youth culture, crime and urban poverty. The film stresses that above all, we all need to take responsibility for our lives. Although Trainspotting will make you laugh as Renton as his pals get into many hilarious mishaps, it does well to remind the viewer of the devastating consequences of drugs. Despite the characters’ nasty addictions, they are really likeable and good company. They have such distinct and raw personalities, which is the main reason Trainspotting is beloved. Even Begbie, a complete and utter madman who seeks fights at every opportunity, has a certain level of charm that makes him so watchable. If there is one redeeming factor about Begbie, it’s that he isn’t an addict, compared to the struggles of Renton. 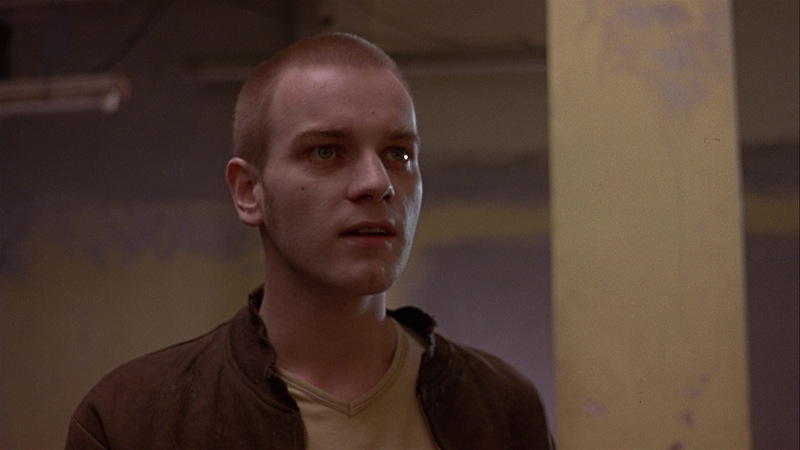 Although I haven’t read Irvine Welsh’s novel, Ewen McGregor plays the part of Renton very well and you really hope the guy overcomes his addiction. Even when he moves away, desperately trying to make a life for himself, he finds himself back in Edinburgh, surrounded by the same friends who are simply no good for him. Trainspotting is a timeless indie classic, as it’s just so damn rewatchable. It’s not just a piece of light entertainment, but a film that urges the viewer to make the right choices in life. This doesn’t necessarily mean completely following society’s expectations, but just as Renton and his friends do, completely defying societal norms in a destructive manner does nothing but cause everyone harm. Trainspotting is the kind of film that Hollywood would never tackle. It’s authentic and ambitious, with a flippancy that strikes the perfect chord. Trainspotting is an unmissable, landmark British film. Yep, probably my favourite British film! Nice one, Liam. Trainspotting is an absolute classic. It’s one of my favourite films as well. Definitely in my top ten of all time. I just adore it. Everything about it is such quality. Can’t wait for the sequel. Yeah, Trainspotting just never gets old. I’m looking forward to the sequel too.